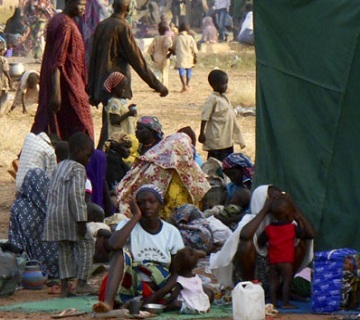 Displaced persons and victims of terror attacks in Nigeria’s north-east are asking the government to expedite actions to restore peace to their communities to enable them return home. 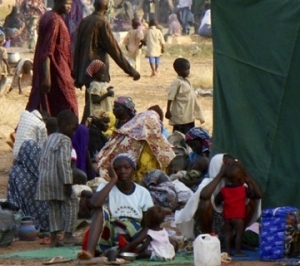 Representatives of the victims, who spoke at a forum in Abuja on Wednesday, said “relief materials from government agencies, churches and individuals alone were not enough to ease their pains”.They called on the government to do all it could to restore peace to their communities to enable them return to their normal lives. Some of the victims got food items from the committee managing the fund in Abuja, four months after the Federal Government had launched the Victims Support Fund. According to the Executive Director of the Fund, Sunday Ochoche, the relief materials will restore hope to victims who have suffered in the hands of the Boko Haram sect. As much as the relief materials have been provided and distributed, the victims are still eager to go back to their communities. The Federal Government’s Victims Support Fund targets 50 billion Naira to assist victims of Boko Haram in the north-east.Officials believe that if the fund is properly managed, victims will be re-integrated into the society and return to their normal lives . The Boko Haram has attacked villages, towns, churches, mosques and other public places in the north-east, making people to flee the area.